John Beazley doing what he loved! Our prayers and thoughts go out to Steve and his family. On a serious note. Prayers and thoughts go out to top guide Steve Beazley who is mourning the loss of his son John from Arizona. We will not be running trips this week on the Wedding of the Waters. We will be back in full swing next week once Steve returns. Stay strong Steve. We love you and your family! 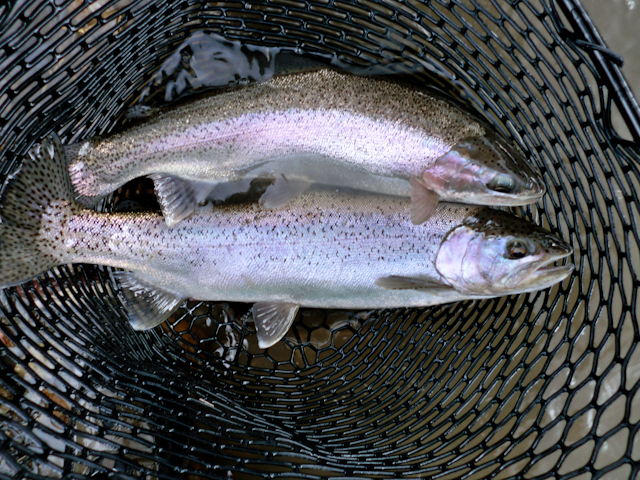 We are already looking forward to warmer weather and big fish. Its very cold in central Wyoming! Brrrr. 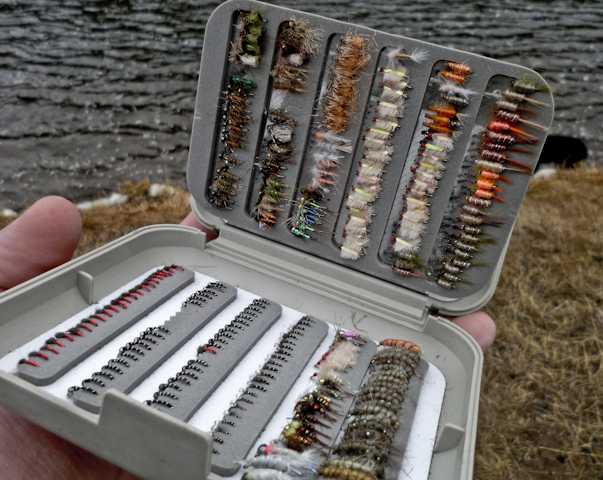 We are busy tying flies and booking trips for the upcoming 2012 season in both Wyoming and Southwestern Montana. 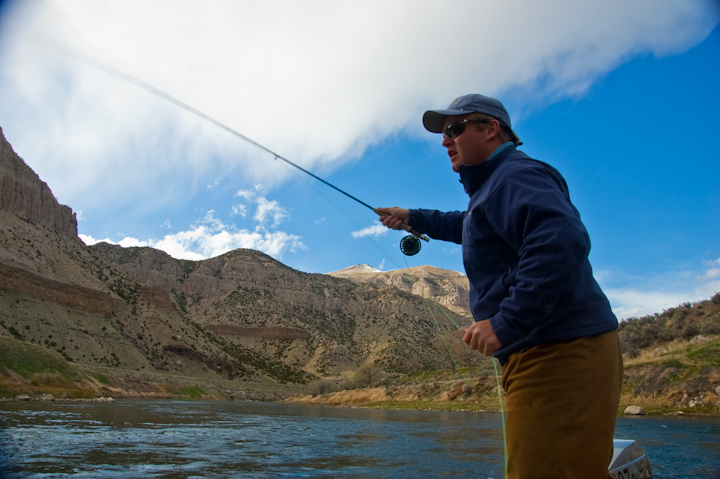 Give us a call and we will be more than happy to take care of your fly-fishing needs. 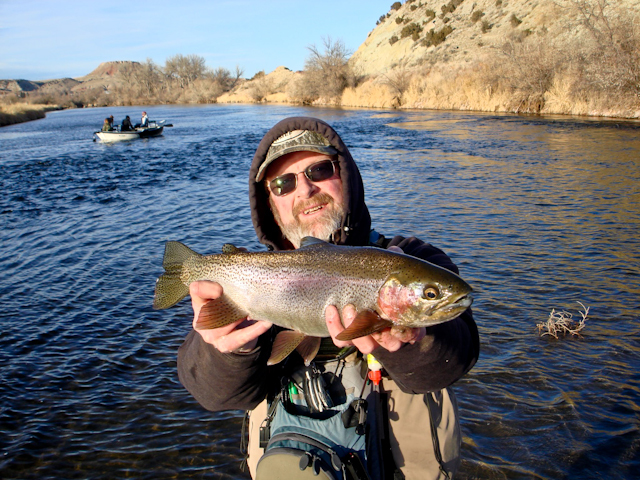 It’s going to be a busy spring in Thermopolis area as the fishery is really starting to get popular. Weekends can be hectic so be sure to try and come out mid-week. 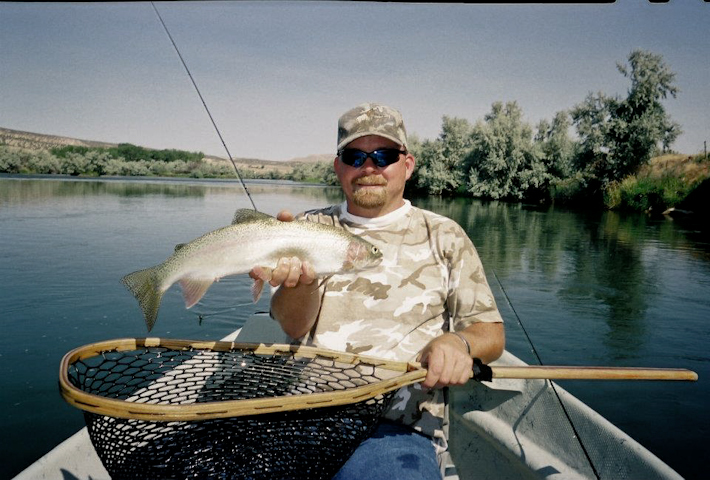 Guide Steve Beaz got on the river yesterday and had a great day of fishing. The male rainbows are starting to color up already! steve beaz is still getting it done! You are currently browsing the 307 Outfitters blog archives for January, 2012.